One of Thailand’s leading advertising service companies is predicting a 5% rise in advertising media spending in Thailand this year with more money going online as users increasingly move their attention to online platforms. Initially, this shift is coming at the expense of print and cable media which have already experienced declines in January according to the latest Nielsen report. It is expected that this trend will accelerate with the emergence and strengthening of more online streaming and digital media. Last year, MCOT, Thailand’s state broadcaster announced a new strategy that moves the state owned broadcaster away from traditional broadcast media to digital platforms and content. It is expected that advertising spends, lead by Thailand’s top brands, will move more and more online in pursuit of younger users who have embraced different lifetstyles and consumption patterns to older generations. Thailand had an unexpected dip in advertising expenditure for January 2019 while the Managing Director of one of Thailand’s leading media advertising companies has predicted a 5% increase in advertising spends for the year overall. However, there will be winners and losers with magazines, newspaper and cable TV firms all set for a sharp drop in advertising income while online advertising platforms and digital media should see another breakthrough year. Thailand is experiencing a dramatic change in the media landscape which is causing media companies to a adapt to new lifestyles and access patterns which are moving more and more online. This is causing advertisers to explore and develop new media strategies. Thailand’s advertising media got off to a sluggish start to the new year in January with a Nielsen report showing a 2.2% drop year on year in advertising expenditure to ฿7.24 billion. In January, one key advertising market player, Mindshare, projected that overall for 2019, the advertising industry in Thailand will see a nearly 5% rise in spending bringing total expenditure on advertising to a massive ฿124 billion. The figures for January 2019 show that the biggest fall in advertising income hit magazines where advertising revenues across Thailand declined by over 33% to ฿69 million. Advertising in Thai cinemas was down by nearly 25% at ฿474 million. So too with newspapers in Thailand which saw their advertising revenue plummet by over 19% to ฿361 million for last month. There were also drops in ad spends for cable and satellite TV where the advertising pool for the month was ฿163 million or a nearly 17% drop. Outdoor and point of sale ad revenue declined slightly by nearly 2% while advertising on Thailand’s transit system dropped nearly 3% to ฿471 million for the first month of 2019. The winner for the month was the internet which saw a massive shift with a rise of nearly 17% in advertising revenue to ฿139 million. There were smaller increases for broadcast TV with just over a 3% increase to a massive ฿4.67 billion and notably broadcast radio held its own, with just short of a 1% increase bringing advertising spends to ฿322 million. The clear trend is that Thai media planners are cutting back on print media to engage with the growing online audience. In January, one of the world’s largest media and advertising services companies operating in Thailand, Mindshare predicted that advertising revenue in Thailand will grow in 2019 at a rate of nearly 5%. The Managing Director of Mindshare in Thailand, Pathamawan Sathorn, projected an advertising spend of over ฿124 billion for the year. The biggest share of advertising was still projected to go to broadcast TV at nearly ฿38 billion or just over 30% with a further ฿33.5 billion for digital TV at 27%. This would see a combined TV spend of 57%. The advertising media giant projected that the spend for internet advertising in 2019 would be ฿18 billion or nearly 15% of the market. The company projected outdoor advertising income at ฿7.5 billion or a 6% share with advertising in Thai cinemas coming in at ฿7.32 billion or a 5.9% share. It predicted that ad spends would decline in 2019 for magazines, newspapers and cable/satellite TV systems. Based on these figures, it looks like the year has got off to a tentative beginning but that there may be a big breakthrough for internet advertising in 2019. This will be paid for by an ongoing decline in magazine advertising which the worldwide advertising company sees declining by over 23% to ฿1 billion in 2019. Corresponding declines are expected in cable and satellite media which are projected down 15% from last year to ฿1.95 billion and newspaper ads which are expected to fall by 14.7% to ฿5.2 billion. Mindshare sees a boost in advertising spending this year in Thailand due to the election, continued improvement in the economy and a new emphasis on internet based media driven, in part, by Thailand’s commitment to creating an online society as part of the Thai government’s Thailand 4.0 program. The Mindshare boss in Thailand confirmed that leading brands in kingdom were now following their customers online with their advertising message. ‘Marketing communication needs to be adaptive as the media landscape that we used to be familiar with is changing. The explosion of streamed content and the time consumers spend on social media has created both opportunities and challenges for brands to reach their target consumers. Marketers also need to be experimental and find creative ways to make both the media and platform work most effectively to achieve a connection with consumers,’ she told The Nation newspaper in Bangkok, in January. 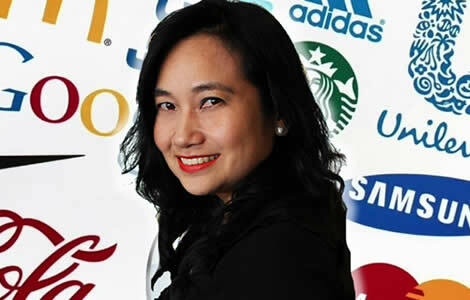 She expects to see the rise in internet based advertising take a stronger hold during the year. The company highlighted the biggest advertising sectors in Thailand as media, motors, non alcoholic drinks, communications and skin care. Pathamawan highlighted the big trends for 2019 as streaming content online, social networks, shopping media, tech media and methods to overcome the growing issue of technology which assists online users to avoid advertising targeted at them online. She highlighted the growing trend among the millennial generation to watch TV and related content on new, more adaptive, digital online platforms. The growth of these online platforms which can now be accessed through TV, desktop and mobile devices is creating a new media universe. Social networks are becoming more part of the daily lifestyle of Thai people although there are some concerns about social media content, its ultimate reach and the context of advertising. Thailand is one of the most connected countries in the world for social media with Bangkok being Facebook’s most connected urban metropolis. LINE is particularly popular in Thailand as is Instagram among a growing, more fashion conscious market. YouTube is another huge player in Thailand where Google still dominates the advertising search and display advertising market. The Managing Director of Mindshare revealed that last year Thai advertisers spent over ฿118 billion reaching out to their customers. The top five advertisers in Thailand were Unilever at nearly ฿3.8 billion, Lifestar at ฿2.54 billion, Procter & Gamble at ฿2.45 billion, TV Direct at over ฿2 billion and Toyota at ฿1.94 billion. The swingeing decline in newspaper circulation in western countries and the corresponding loss in advertising revenues has prompted many leading newspapers in the West to begin monetizing their online news offerings with Premium memberships. This is something that may be not far off in Thailand which is not lagging so far behind western countries and has quite a sophisticated media environment. The continued dominance of TV in Thailand seems set to continue at least in the short term. However, the biggest tipping point of all will be the shift from broadcast TV to digital TV and online digital content. This year in the UK for instance, there is projected to be a 42% increase in digital online video advertising following a 46% increase the year before. There is also an emerging market for internet radio with many broadcast radio stations moving online as stealing technology advances. Last year the leading Thai state media company MCOT announced a new digital strategy as the company prepared for an inevitable decline in the penetration of broadcast TV as more and more Thai users move online. Operating a range of TV, radio and internet services in Thailand, MCOT operates Channel 3 TV, the second most popular TV station in the kingdom famous for its TV soaps and nationwide news coverage. Thailand has one of the most creative advertising industries in the world. Driven by a population relishing the joys and delights of new prosperity and higher living standards in Thailand, the advertising commercials are innovative and often employ humor and heart rending incidents to make their point. The execution and artistic standards are award winning and many leading advertising agencies around the world, including those in Western countries and Asia, seek agencies and production companies in Thailand to work on their advertising campaigns. This advertisement shown below in a video clip won an award at the Lions International Festival of Creativity at Cannes for another advertising agency in Bangkok, Mc Cann Worldgroup, in 2017. Be warned that Thai advertisements usually have a punch at the end! Advertising spends on Thailand’s media are set to rise by up to 5% in 2019 as Thai brands move online to social media platforms to target users. Ad spends declines on print media as it moves to the internet.Thailand has one of the most creative advertising industries in the world. Driven by a population enjoyed the joys and delights of new prosperity and higher living standards in Thailand, the advertising commercials are innovative and often employ humour and heart rending incidents to make their point. The execution and artistic standards are award winning and many advertising agency around the world, including western countries seek agencies and companies in Thailand to work on their advertising campaigns. This advertisement shown below won an award at the Lions International Festival of Creativity at Cannes for another advertising agency in Bangkok, Mc Worldgroup in 2017. Thai advertisement usually have a punch at the end!